Solar PV qualifies for 100 % first year Capital Allowances on spending for businesses. 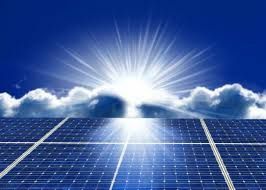 In other words, If you invest in Solar PV you can write off the whole of the capital cost of your investment against your taxable profits of the period during which you make the investment. This can deliver a helpful cash flow boost and a shortened payback period. ( All Waterpower products meet the eligibility criteria for the ACA ) Please call us 029 50568 for all your Solar PV queries.